With the generic texting and Snapchatting being the current trend, especially for teens, sometimes it feels necessary to break from the usual and do something different. Bottled is a messaging app but it’s not the normal texting app which you can use to text your friends. 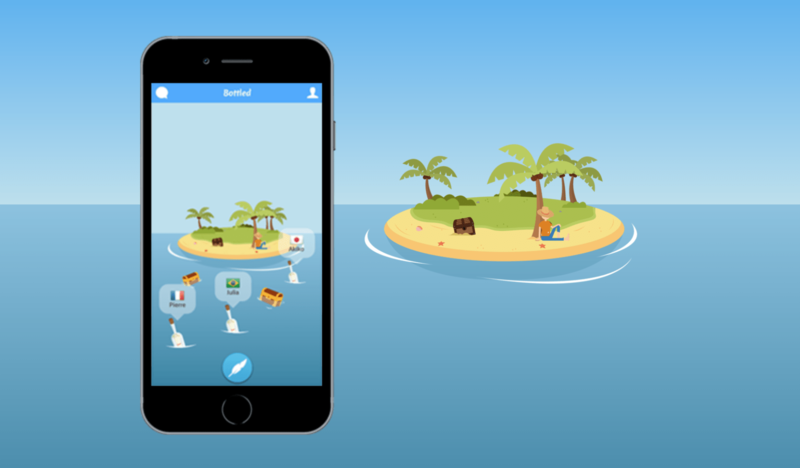 The app’s mission is to connect people from different parts of the world through the internet, however, while relying on the old and (very) interesting of bottled messages. Bottled messages are usually used in times of need when someone is stuck on an island but it’s also used by people to find people as some call it “destiny”. The basic idea is to write a letter, place it in the bottle and throw it in a flowing water body (preferably in a sea). 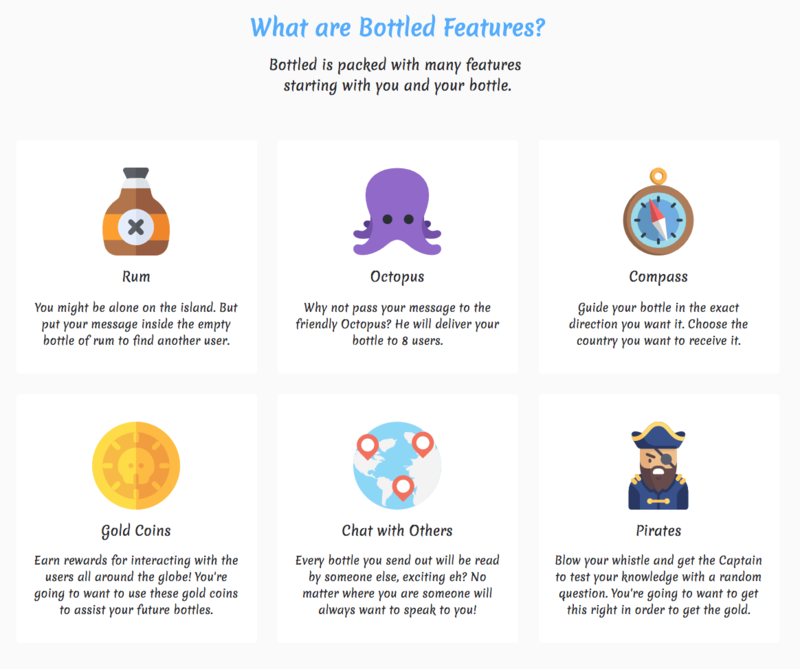 The Bottled app does the same, you write a message, you open bottle virtually and the message is sent to a person somewhere in the world on the preferences you set. As to how the app chooses people to be connected is unknown but its still very interesting to use. I was instantly up and hyped when I read the instructions of the app after the installation. First, you are required to sign-up, then if you’d like you can set the preferences for the type of person you’d like to be connected and then you unlock chests to get bottles. The character (the player) is on an island and after getting access to the bottle, you have to write a letter and throw it in the sea. Right after throwing the bottle, it will be sent to a player in a different part of the world. The app will notify you as soon as the other person open the bottle and reads the letter. Also, the app offers in-app purchases of Rum bottles, compass, whistle and more.